"Journalist" CJ Werleman opines in the Sydney Morning Herald that US President Donald Trump is shamelessly using the Jews. The dumbassery here has reached epic proportions. I have written about CJ Werelman before, given his disregard for the truth and proclivity to lie when it comes to Israel. And until now, I have characterized him as an Israel hater. I am now going to refer to him as the Jew hater that he most clearly is. Israel Haters Silent As Palestinians Gassed in Tunnel. Can You Guess Why? One of the tests to determine who is an antisemite is to see if they employ a double standard against Israel, the only Jewish state in the world. And today, we were handed the opportunity to put that test into action, with news that two palestinians died after Egypt pumped toxic gas into the smuggling tunnel they were in. 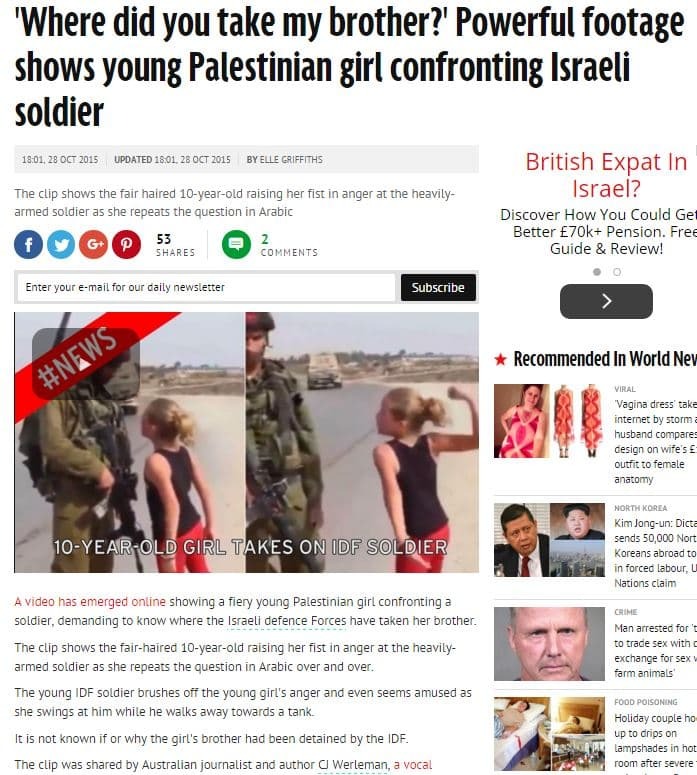 The latest anti-Israel libel is going viral.